Can’t believe another year has passed already! 2013 was a very quiet blogging year compared to 2012, though we’ve had some major changes in our lives. By far the largest was Sarah becoming pregnant in the summer, due mid-April this year. The second half of the year has been a blend of anxiety, anticipation and excitement as we’ve prepared ourselves and our home for our first child. I’ve written a few posts about it, but despite/because of the rollercoaster of emotion I haven’t been really able to express all that I have been feeling about it. The second has been a change in my work last fall. For about two and a half years I’ve been a self-employed CAD technician as an associate for a company in Milton, working from home. The summer was very stressful because my workload (always unpredictable) became very low, and I wasn’t sure if I would be able to continue doing this work. Things picked back up in the fall though, to the point that the company offered me a full-time position with them, though thankfully still able to work from home in London. Between these two things (and many others) I feel as if I’ve drifted somewhat from where I had been in 2012, both for good and bad. I feel as if I have life fairly together, but have stepped back from a lot of the things I enjoy/feel are important. Instead of setting extremely concrete goals (lose X lbs. etc.) I thought I’d make my resolutions a few major goals I can break down into single events/achievements. Not becoming overwhelmed again, and resting before the baby arrives is also very important. I hope to find a good balance between being active in the city/community and relaxing as well. I’m really not sure what to expect (despite reading a lot, while trying not to get too anxious about it), so I figure being in the best mental and physical shape I can beforehand is probably best…I’m told both will deteriorate rapidly after. I hope to stay involved in the city and Argyle community once the baby is born, if nothing else than by being online and writing/posting updates through the community social media and website (we’re currently working on a big communication overhaul, I’ll probably write a separate post about it once it starts falling into place). As Sarah reminds me, babies do travel as well, so we may be out later in the year with wee Gibson in tow, as well. This may be a tough one, but I’m hoping to write more often than I did last year, even if it isn’t all published here. Considering I meant to write/post this yesterday (have been caught up nursing Snoopy, who is sick with an ear infection and a GI stasis scare) this may not go so well. I realized last year that for some reason the enjoyment had been taken out of writing for me, and the thought of opening this to write seemed a lot more daunting than it should. So, I’m hoping to start the regular practice of taking time to write again, even if some of the posts are left as drafts, or revised repeatedly before being posted. I hope to write on London events and politics (specifically the 2014 budget and election) as well as life (especially our adventure through pregnancy and our baby), but as well I’d like to get back into writing fiction. I haven’t written much since high school, but always enjoyed it when I did…I may share some of my attempts here as well. 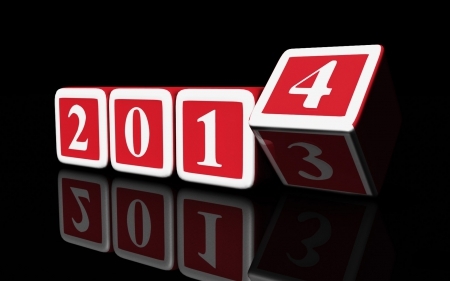 I hope 2014 will be an interesting and insightful year. I think it will be. Wishing you the very best in the coming year, may we make it a good one together!